Don't Be Fooled with Free Shipping! My Prices are Usually Lower, Especially If You Need Awning Rail. If You Don't Need The Rail Just Click Omit And Save Even More! of the Highest Quality since 1986. Get instant protection from the sun at a price much less than you would expect to pay. It's easy for one person to set-up in minutes. Everything stores neatly in a weatherproof zippered 16-oz. travel case that slides into the vehicle's awning rail. Telescoping aluminum uprights and rafters are attached to the front rail. 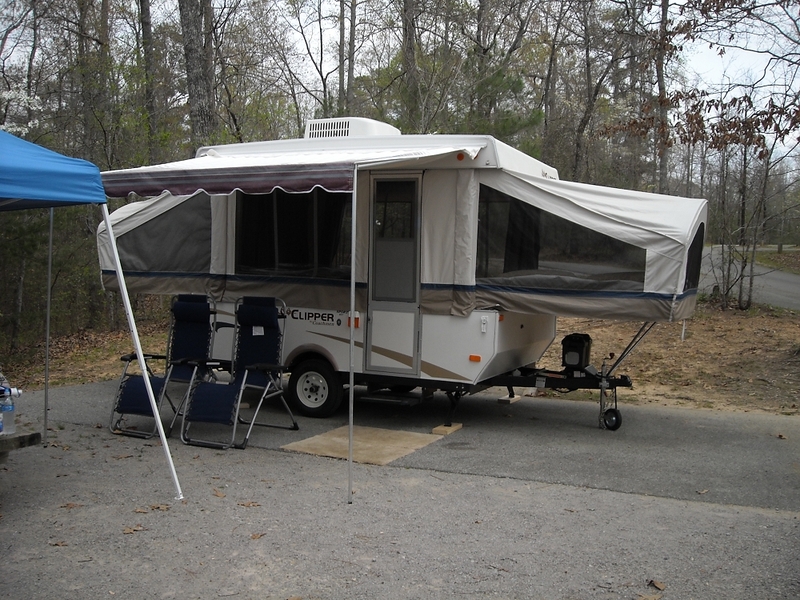 When you need shade or shelter, simply unroll the awning and extend the adjustable 7' tall uprights. The travel case can be left on the vehicle. The Awning projects out from the vehicle 7'. The actual width of the awning fabric is 4" less than the size on the awning. The Bag Assembly hangs down approximately 7.5" Should you have a clearance issue, I now offer a Roller Wheel. This attaches to your door to help prevent the door from damaging you bag assembly. The overall size of the storage bag is @5" larger than the awning itself. They are all USA MADE! 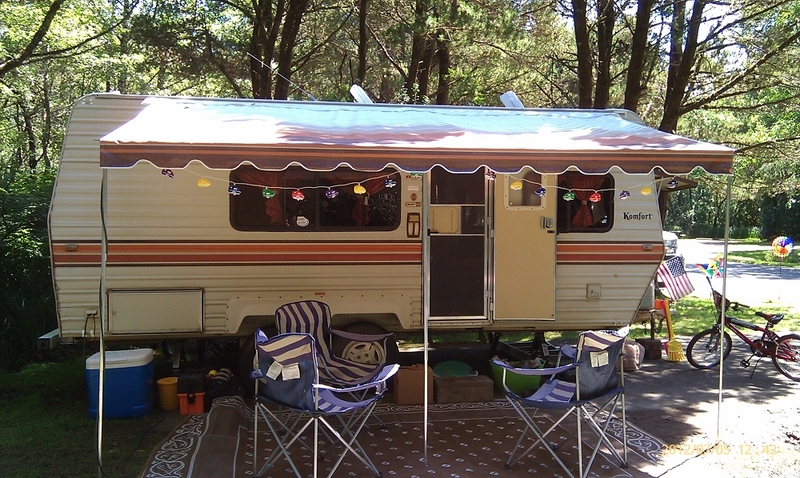 RV Awnings R'Us is a Factory Authorized Distributor. All Awnings are New "Factory Sealed"
They are available in 4 different colors. "No" Hidden Extras My Price Includes the Awning Rail. These awnings are made with Finest Quality Heavy Duty 10 OZ. Tri-Laminate Available Vinyl Fabric. I highly recommend that you purchase a Spring Loaded Center Rafter Support on awnings 11' and larger. This will help reduce the flapping of the fabric caused by the wind. It will also help prevent excessive puddling when it rains. XL OPTION IS NOT AVAILABLE ON THE CLASSIC. email me at rvawningsrus@aol.com with your questions. "Personal Service In An Impersonal Media"